The tune originally appeared as the title track to the veteran UK metal outfit’s 2nd album, which peaked at No. 24 on the UK charts. 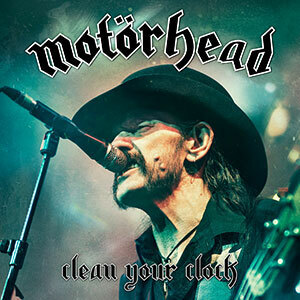 Due June 10, “Clean Your Clock” captures the band over two shows at the Zenith in Munich, Germany last November on what turned out to be their final tour as founder Lemmy Kilmister passed away at his Los Angeles home on December 28. "Lemmy was a great friend and he always supported our band - as we did Motörhead - through ups and downs," says Saxon's Biff Byford. "We were touring with them when he died, so to be able to honour him at the Metal Hammer Golden Gods is a great opportunity to say goodbye."